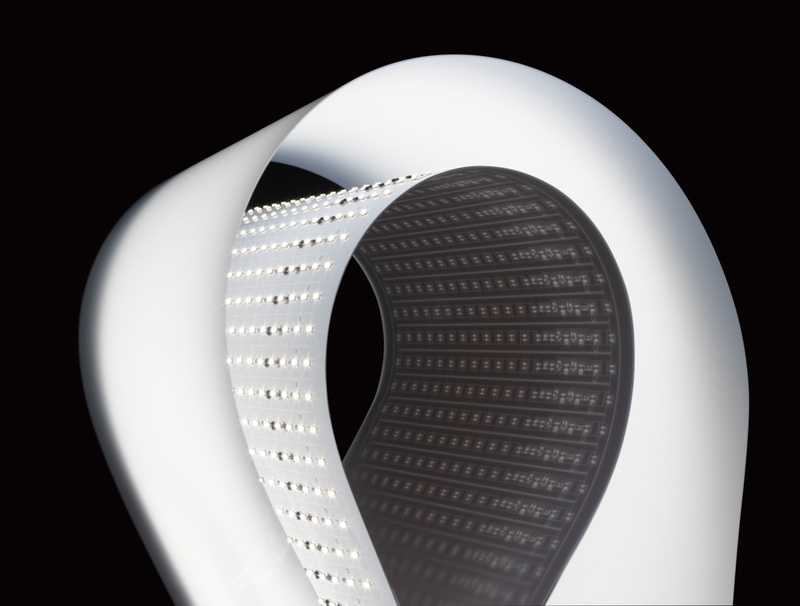 Cooledge Lighting™ introduces a cutting edge flexible LED light sheet that provides high quality lighting while eliminating many of the constraints and challenges that existing LED systems impose. 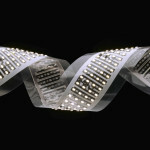 This new medium for lighting combines the mechanical, electrical and LED source together into a flexible sheet of light. 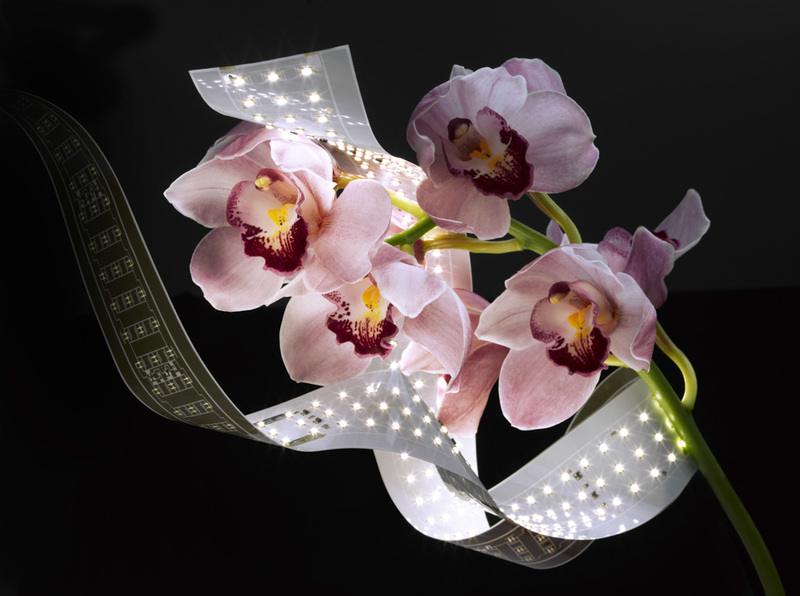 Cooledge Light Sheet – enables creating flexible decorative solutions. 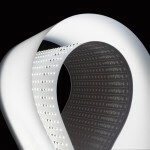 Luminaire designs using light sheet can be fluid, thin and minimal in both design and material choices. 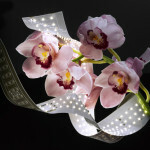 The light sheet utilizes a highly dense pattern of LEDs on a thin plastic substrate, delivering on the promise of OLEDs with the reliability and performance of LEDs. The Cooledge Light Sheet product family comes in a 7mm and a 12mm version with an external driver and is available in various lengths and light colors (2700K, 3000K, 3500K, 4000K), limited only by cutting restrictions and Class 2 power limitations. Below you’ll find the latest Cooledge Brochure for your references. 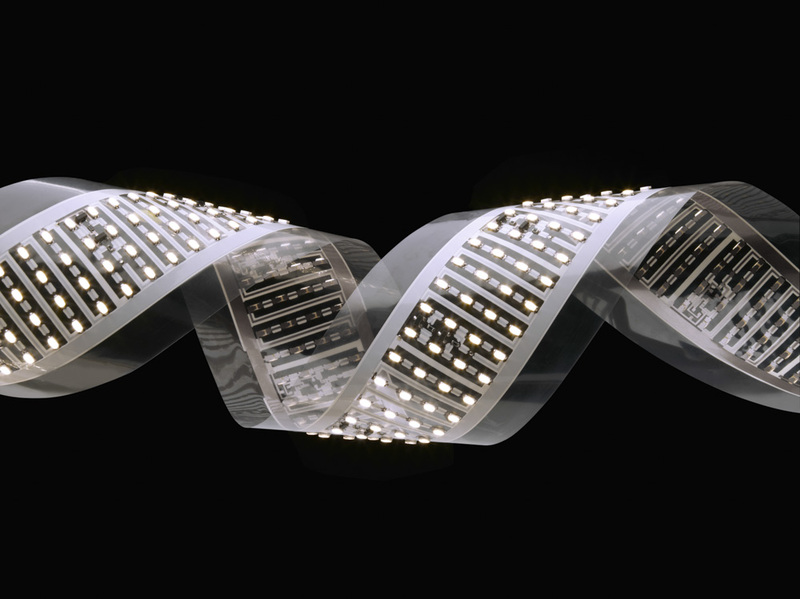 On the Cooledge website you’ll find more information on the product, references and availability for both OEM lighting manufacturers and resellers to this ‘flattest-ever’ SMD LED lighting solution. What will you say about Cooledge Flexible Light Sheet?